What are the Health Benefits of Cod Liver Oil, What are the Side Effects, and Where does it Come From? Cod liver oil is a nutritional supplement that comes from the liver of cod fish, which is how its name originated. It has high levels of omega-3 fatty acids EPA and DHA, and is also high in vitamin A and D.
Cod liver oil is known to reduce the symptoms of arthritis, and its other benefits include improved cardiovascular health by reducing triglycerides, heart rate, and hypertension associated with high blood pressure. Awareness of the health benefits of fish oil and omega-3 fatty acids have increased dramatically over the years, even though “essential” fatty acids were known to play a major role in the normal growth and health in infants and children since the 1930s. New research has also shown that omega-3 fatty acids play a major role in cancer prevention, and may help manage depression and anxiety. Both shark oil and cod-liver oil were very commonly used as supplements for vitamins A and D, and were given to children to prevent diseases such as rickets. However, scientists in the 1940s figured out how to cheaply manufacture the vitamins, thus saving generations of kids from having to choke and gag on spoons full of the fishy, slimy liquid. 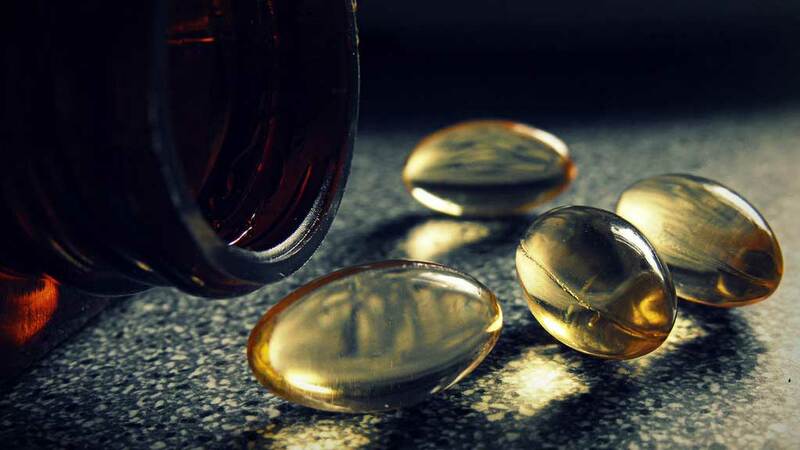 These days, Cod liver oil is an alternative supplement to fish oil, for those needing the extra vitamins. One potential side effect to Cod liver oil is a danger of exceeding the Recommended Dietary Allowance of vitamin A due to the unusually high levels. Pregnant women should consult their doctor when taking cod liver oil. Why isn’t Cod-liver oil used as supplements for vitamins A and D anymore? What is the Difference between Light Olive Oil and Regular Olive Oil and Is Light Olive Oil Healthier? How do oil companies stop an oil well blowout that comes from a sea floor oil rig?